Brewing hard cider doesn’t have to be difficult. 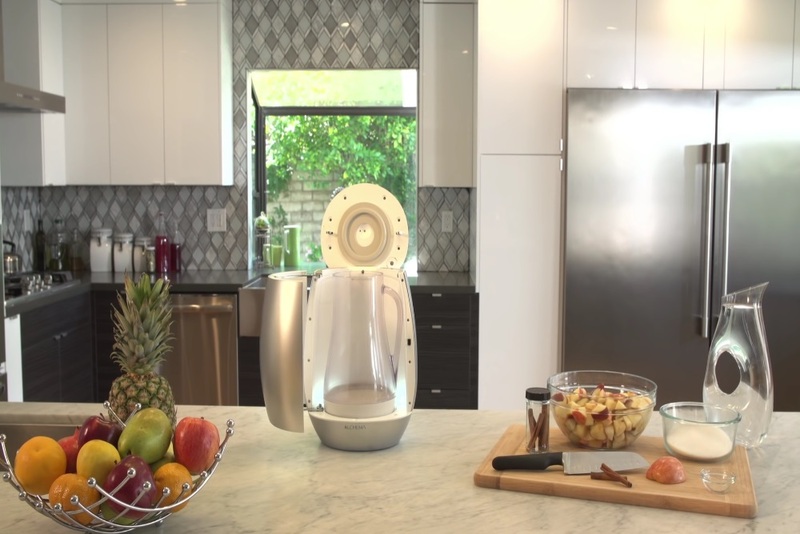 The smartphone-controlled device Alchema makes the process simple for creating homemade cider. A database on the smartphone’s application stores a number of recipes users can choose from using fruit they have around the house. While following the recipes, users do not require measuring devices as a scale was installed on the device and shows the current count on the smartphone. Once a recipe is completed, it takes up to two weeks for the fermentation process to finish. The container in Alchema will make up to 2.4 liters of hard cider, which is a little more than three bottles of wine. Alchema is available for pre-ordering on their website for $429.00 a pop and ships in Fall 2017.